Did you know that brushing, flossing and rinsing only reduces mouth odor by 25%, while 75% originates from the tongue? Studies show that halitosis (bad breath) is mainly caused by bacteria on the tongue which forms tongue plaque, producing a foul odor called volatile sulfur compounds. Gum, mints and mouthwash may only mask bad breath. The Tongue Cleaner by SleepRight actually removes bacteria that causes bad breath. It can reduce halitosis by 75% and dental plaque by 33%, improving oral health. 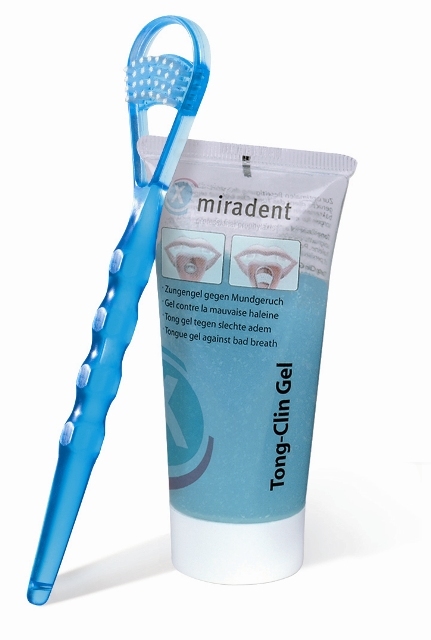 Tongue cleaning should be a step in your daily oral hygiene regimen. Plaque coats the tongue and sometimes gives the appearance of having a white tongue. You can enjoy the taste of food more by removing this plaque coating because it can mask the taste. Who would want that? Patented design provides firm cleaning pressure - Not flimsy! Comfort scoop captures plaque build-up from tongue and shows you results you can actually see, fast!